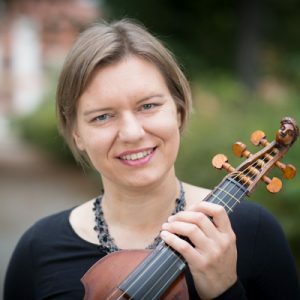 After her studies in music pedagogy in Munich, Heidi Gröger studied baroque violoncello with Jaap ter Linden and viola da gamba with Philippe Pierlot at the Royal Conservatory in The Hague. In 2007 she received her Master’s degree with distinction there. Scholarships such as the Huygens Foundation and First Prizes at the International Early Music Competitions in York(GB), Wassenaer (NL) and Neuburg an der Donau followed. Find the complete CV in text >>Biography (eng) DOC (text) or in tabular format >>Curriculum Vitae (eng) DOC . Her musical development was already influenced during her studies by participation in ensembles such as the Freiburg Baroque Orchestra, Concerto Vocale, the Berlin Baroque Soloists and Harmonie Universelle. 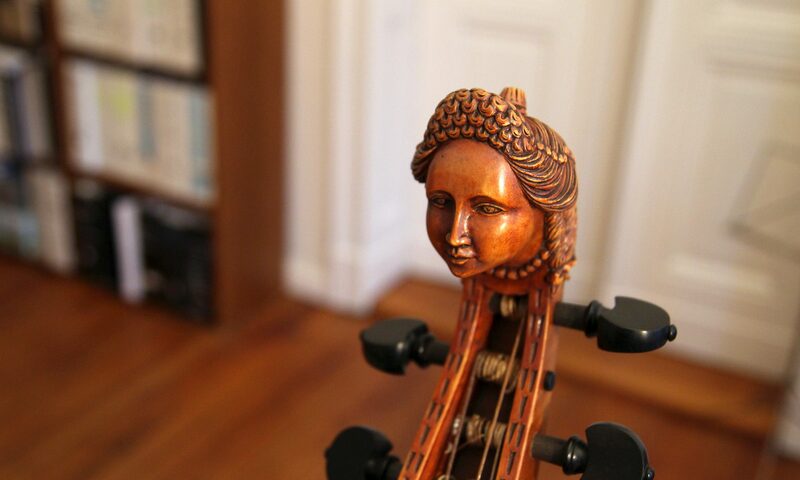 With her own Ensemble Fleury she has recorded the Pièces de clavecin en concerts of J. P. Rameau for Sony Classics for the very first time on a golden viola da gamba with eight strings. For the Bavarian Radio she has recorded Diletto Musicale for viola da gamba solo by G. Thim (*1922). In collaboration with Johannes Weiss she has organized the early music festival Musikfest Eichstätt, numerous concerts and summer courses at Castle Seehaus (Middle Franconia). Since 2011 Heidi Gröger teaches viola da gamba at the University of Music in Frankfurt am Main. The Musikfest Eichstätt, under the artistic direction of Heidi Gröger and Johannes Weiss, engages internationally-renowned artists for concerts in the churches and halls of the baroque city of Eichstätt, Germany. The programming for the festival focuses primarily on chamber music and solo performances, but larger baroque orchestras and sacred music are also presented. The idea to found an early music festival in Eichstätt was co-developed by Heidi Gröger and Johannes Weiss, who were inspired by both the historical city center, with its countless ornate halls, and the knowledge that early music is under-represented in Bavaria, and should therefore be highlighted and promoted.